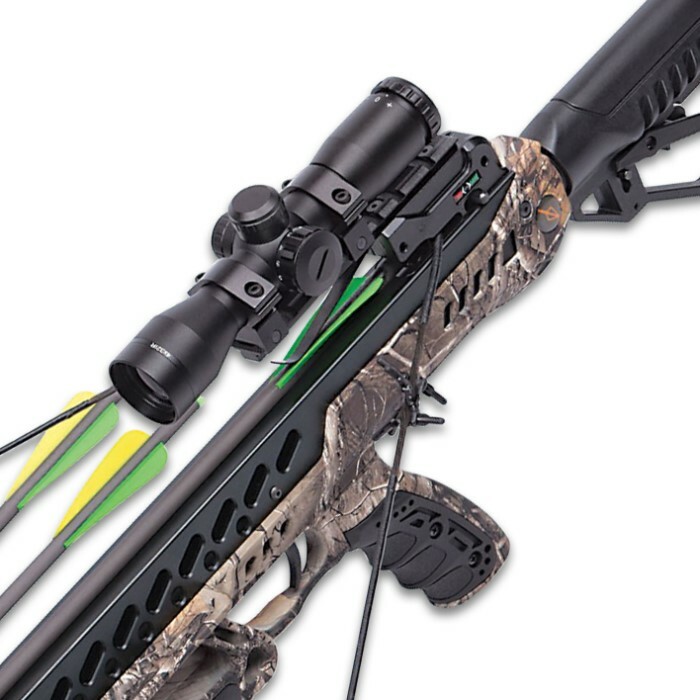 Gladiator Whisper 405 Compound Realtree Camo Crossbow - AR-Style Adjustable Stock, Quad Limbs, 4x32 mm Scope, 200-LB Draw Weight | BUDK.com - Knives & Swords At The Lowest Prices! 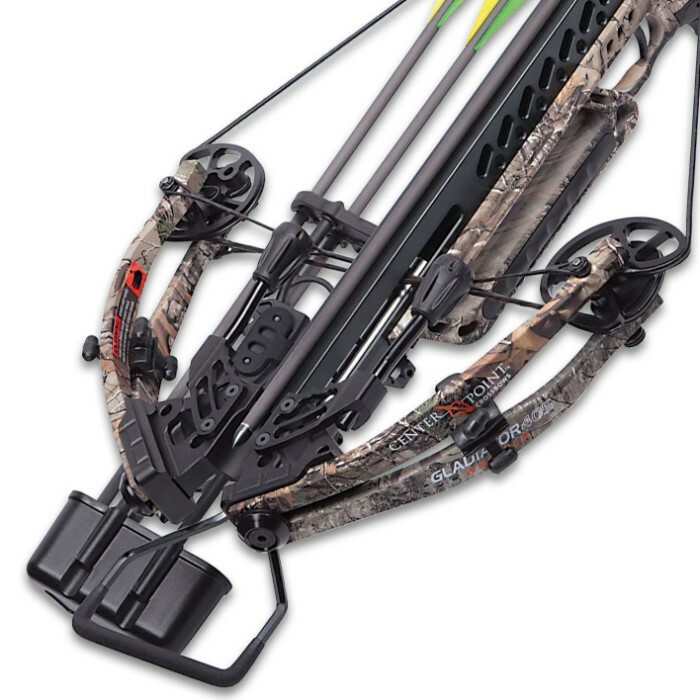 The Gladiator Whisper 405 Compound Realtree Camo Crossbow offers the ultimate in noise reduction and vibration control. It features the Whisper Silencing System, which includes two string stops, two limb dampeners and two spider silencers. With blazing speeds up to 405 fps, the crossbow has a tactical AR-style adjustable stock, quad limbs with a precision CNC-machined cam system and a CNC-machined aluminum rail with a shoot through aluminum riser that provides repeatable accuracy. The 13 1/2” front end is ultra-compact for maximum maneuverability and there is an ambidextrous, side mount quiver bracket. Included in the package is a 4x32 mm scope, three 20”, 390 gr. carbon arrows, a quiver, rope cocker and a sling.